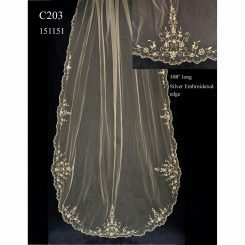 Classy 3165 is a lovely French laced edge of assorted size roses and leaves with rhinestone and silver bugle beads accent. 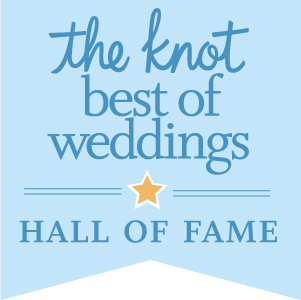 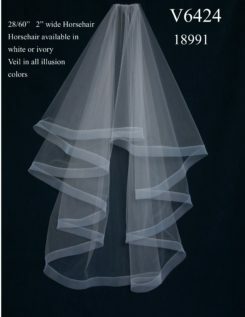 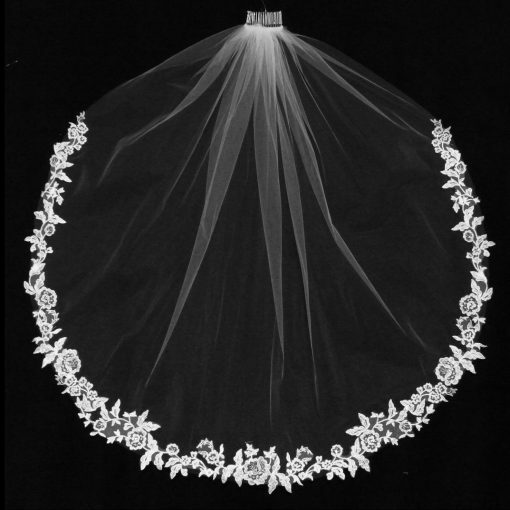 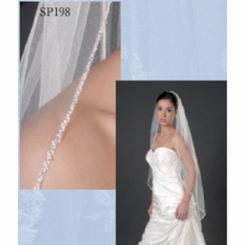 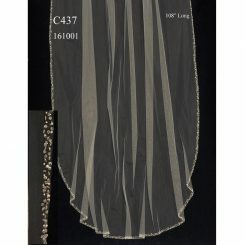 This veil comes only in ivory and available either in cathedral or fingertip length. 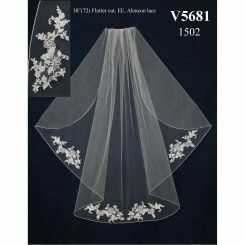 Classy 3165 is a French laced edge of assorted size roses and leaves with rhinestone and silver bugle beads accent. 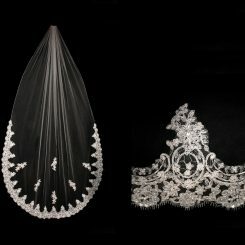 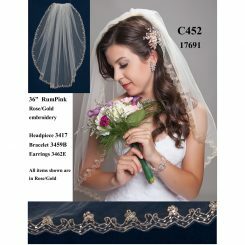 This veil comes only in ivory and available either in cathedral or fingertip.